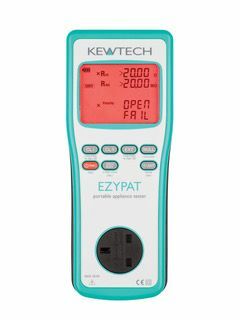 Manual PAT Tester with automatic sequences. DELIVERY IS NORMALLY 1 - 2 Days on this item - but may be up to 5 working days. Please choose the FREE SHIPPING option if you order this product, and we will endeavour to get it to you as quickly as possible. If you require it urgently, please call us on 01482 827600 to confirm availability.